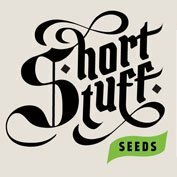 Auto Himalaya blue diesel from Shortstuff seeds is one of the most popular strains of cannabis seeds available today. 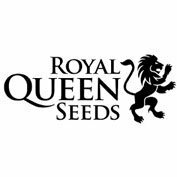 Yields and potency are excellent and the bluey purple buds that can be produced are highly desirable too. Himalaya Blue diesel (or HBD as it has become known) is a cross of our Blue Himalaya strain and New York city diesel. 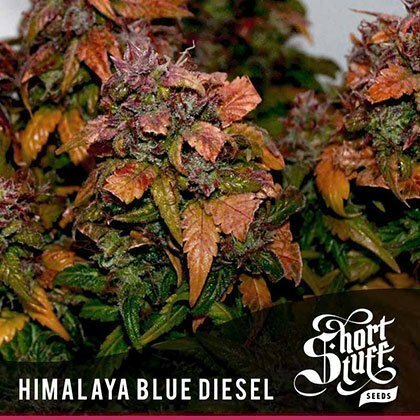 Blue Himalaya is an indica dominant auto which was the result of crossing the fattest, most resinous Nepalese Kush plant we could find with our auto line and then introducing a complex blueberry hybrid. The result was a highly resinous strain which stayed very short and gave off a wonderful blueberry aroma. We took this awesome blue Kush strain and then crossed it with new York city diesel to add spiciness and extra potency and the result blew us away. The plant has very chunky, compact buds that often turn blue or purple at the end of the flowering period. It can get a fair bit taller than the Blue Himalaya, sometimes reaching 70 or 80cm but most examples will be 50-60 cm and can easily yield 1-2 ounces. 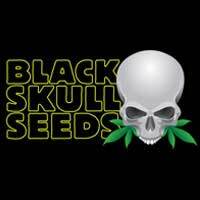 The strain gives off fruity and spicy scents and has wonderful medicinal qualities borne out of its indica heritage. Himalaya Blue diesel is one of our ‘Next generation’ Mid-sized autoflowering strains which means that while it retains the auto flowering characteristics of the original lowryder style strains, and will go from seed to bud in around 70 days, it is a much more potent, fast growing, taller strain and can easily match traditional photo-period cannabis strains.